For many, Najam Baug has long been not just a building. It has been a blessing. 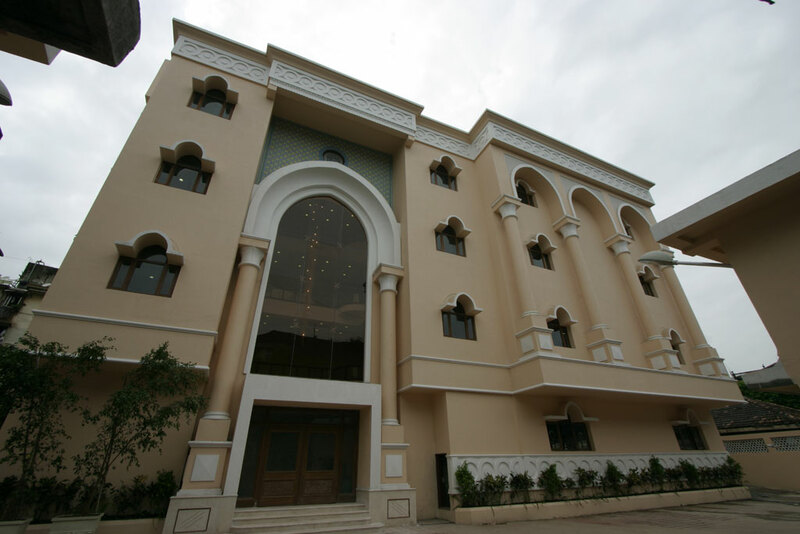 Not just a hall, but a community centre at the very heart of Mumbai's social, cultural and spiritual life. Tens of thousands of guests have treasured memories of joyous occasions here for over more than a century—weddings, majalis, aqiqas, and misaaq. Now, Najam Baug re-emerges after a splendid renovation—a grand facade, halls and modern facilities with the most advanced technology. Its structure is transformed, but not its soul. It remains the Najam Baug many have cherished, the venue of so many fond memories...and of so many more to come. In its transformed identity, Najam Baug more than ever embodies the cultural tenets of Islamic architecture. In its traditional Fatemi design and embellishments, timeless values shine through while its modern facilities and technology speak of a forward-looking vision. We welcome you to our web presence, and invite you to explore and learn about how we can make your gathering a memorable one. More information about our facilities and contact information are just a short click away. Above content was prepared prior to the wafaat of Syedna Mohammed Burhanddin (RA), the 52nd Dai al-Mutlaq.